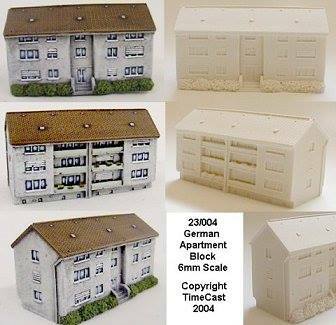 Coming soon, Timecast resin buildings (for micro armour and larger scales). Perfect for Team Yankee in 6mm! And did I mention latex roads and rivers? Decent initial stock is coming in, and if all goes well, these will be a regular stocked item.